Lampered details. Technological abstract background. Place for text. Seamless loop. hd00:15The rotation of the digital cloud.Digital animation of Global world hologram. illustration of business processes and communications, technology, connection.Seamless loop. hd00:20conglomeration of geometric shapes. cinematic plexus background. seamless loop. 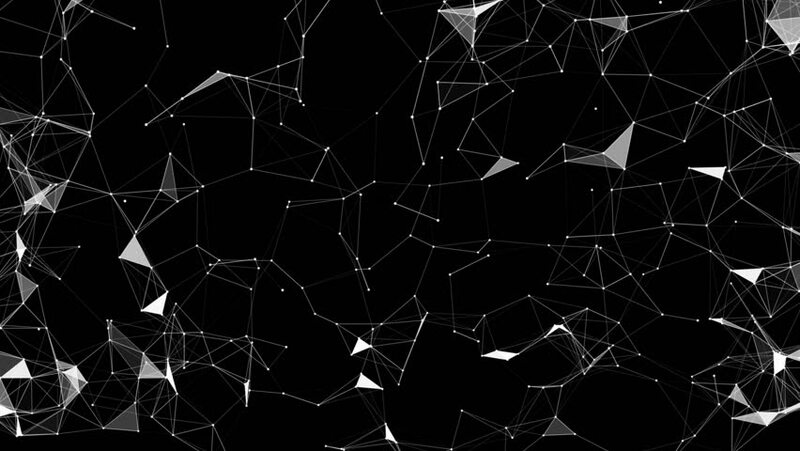 hd00:15Screensaver.Abstract digital data nodes and connection paths within any type of network or system of networks. Animation for visuals, vj, light presentations or as motion background. Seamless Loop. hd00:20Rotation around changing constellations. cinematic plexus background. seamless loop. hd00:15Rotating static structure.Abstract futuristic electronic circuit board with neural network and big data - an element of artificial intelligence, matrix background with digits, seamless loop. hd00:15Cosmic whirlwind.Neuron network, neuronet synapse 3D animation, inside the human brain.Seamless loop. hd00:15Rotating constellation.Abstract technology background footage,concept of software developer and Computer script.seamless loop.